Akhil From Hounslow: A Disrespectful Statement? I Thought You Loved This Club Robin? I really really believed club mean a bit more to him. Now he sound as cheated wife. But I wont agree with you, he has to see his contract out, no one, no one can blackmail club. If Tevez could, Robin ca to, either way we wont be able to get some serious money thanks to his "update for the fans". So lets keep him as replacement for Chamakh. Fair enough but what if he starts being disruptive? starts talking to players and all that work on morale that was done last year is undone? I really believe he cant influence other players once season starts. He is still professional and need some time to play to keep shape and to keep potential buyers interested. So then there is blackmail goes in both directions. Ramsey reaction was great and I believe whole team will treat it that way "not our business". And when you really analyze this, RvP lost more than we in any case. He may win medal if he leave, probably as I already said somewhere else like Reina in EC and WC. But was it really thing he want? He may win it, but he lost his place on Emirates walls with Rocky, Bergkamp, Henry and others... what in my eyes worth much more than medal ambition. It could go one of two ways I guess Ninootje, he may be professional but then again he may not. If we can sell and replace with quality...id rather to that. Gooner-Dan, in the summer of 2005 remember? this article echoes my thoughts 100%. i never thought i'd dislike anyone more than Adebayore and Na$ri but RVP has shocked me. even though i wanted him to stay i had a feeling he was going but that stupid statement he put out, if he doesn't regret it by now i've lost faith in humanity. there was no need at all and to disrespect the club and Wenger like that is unforgivable. he can stay and even score the winner against the spuds and i still would not forgive him. he should not even train with the squad, he should go NOW. We are THE ARSENAL, bigger than one man. I guess... he will later come out... saying that the statements written on his behalf were done by his agents and reps... and not him...... he thought... gunners will nod with him in blaming the club and the board... while we certainly don't agree with all the decisions made on board level.... but chastising the club and the board so publicly... is just shame.. he bottled it up... I think its a decision Gazidiz and specially Arsene has to make;.. I think you have missed the Point David, I appreciate ALL what you said but does that mean his allowed to make a stupid statement that criticises his manager and club and tries to play the fans? 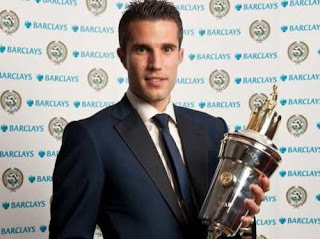 Even if all what David said is true, though hardly "average midfielder" suit to Song or Arteta, as captain of club van Persie was supposed to think of clubs interests too and supporters emotions and dignity, and protect them. As far as I understand math, his statement directly get in conflict with all things I mentioned (and also with all what he mentioned in statement about loyalty and respect and bla bla) .